If a person gains steady improvement importance in society others call him a "Fortunate, lucky" individual. In Sanskrit it is called "Athrishtam" literally meaning "That cannot be seen" but brings name and fame. The opposite of this is Dur-Athrishtam" or misfortune/ill luck as we call it. Let us first see what the science of Numbers, 'Numerology' has to say about luck/fortunae. He lucky persons are differentiated and distinguished by their 'Birth dates', Any person can be born between dates 1 to 31 only. This birth data can be converted into "Birth Numbers". For example if a person is born on 27th of any month, his birth number is 9 (2+7). We can convert other birth dates into basic birth Numbers of 1 to 9, which essentially represent the Nine planets of our universe. Persons with birth numbers 3,6,9 are considered to be the most fortunate, first grade. These persons with less effort, work are likely to gain more rewards, benefits in life. Persons with birth numbers 1, 2, 5, 7 are deemed to be fortunate of the second order. These persons are likely to be rewarded, benefitted corresponding to their effort, work. Persons with birth numbers 4,8 are considered to be lucky persons of the third order. These persons in spite of putting more effort are likely to get less benefits in life. We are not responsible for air birth; It is considered God is gift. Birth under less fortune numbers cannot be avoided. But such persons need not get discouraged. They shall never strengthen their numbers by their actions. They shall never carryout important activities on numbers ending 4 or 8. Nor they live in houses/use vehicles with less lucky numbers. Instead they shall select the numbers ending as 3,6,9 for all their activities so that they are deemed lucky. This is the first step towards "Athrishtam", true to the proverb "By Wisdom one can overcome fate/destiny" one can verify and confirm the above in life himself. Secondly let us see what "Astrology" has to say about 'Athrishtam". In any one's birth horoscope chart, the Janma lagnam, first house or Ascendant is considered the most important house. For the twelve different lagna houses or ascendants, Astrological texts has prescribed certain yoakaraka planets or luck/Athrishtam giving planets. Hemmed in between benefic planets etc. On the other hand, the yogakaraka planet shall never get weakened in one's horoscope. 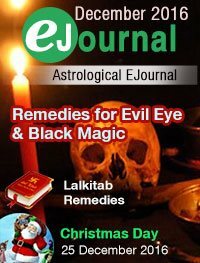 That is associated or aspectd by malefic planets in inauspicious houses of 6,8,12 positions from the Janma lagna, in debilitated/unfriendly houses etc. The respective results are likely to happen deering the main or sub periods (Dasa, Bhukthi) of the yoga planets. Further certain auspicious Raja yogas shall be evident in one's birth horoscope for rapid advancement in life/society. Notable among them are the pancha mahapurusha yogas, dharma-karma Adhipathi yoga, Gaja kesari yoga, neecha bhangha raja yoga etc. Lastly let us examine the palmistry point of view. Of the many rekhas, lines present in the palm of one's hand, the fate line assumes greater importance, fate line commences from the wrist position, travels up straight and reaches upto the Saturn mount on the middle, long finger. If the fate line is long firm, continuous, he is considered a fortunate person. Besides the powerful fate line, a star figure is observed on the hand, he shall rise in position and reach greater heights. If the fate line commences from the middle of the palm he gets recognition late in life. If the fate line is not strong, with breaks with islands or square on hand, an ordinary lie is evident. So far we have seen how "Fortune" of a person is defined. Persons with less fortunate can also get better benefits by resorting to mani (wearing precious stones), mantra (Reciting divine names) and oushada (resorting to medicines) as prescribed in the vedic structures.